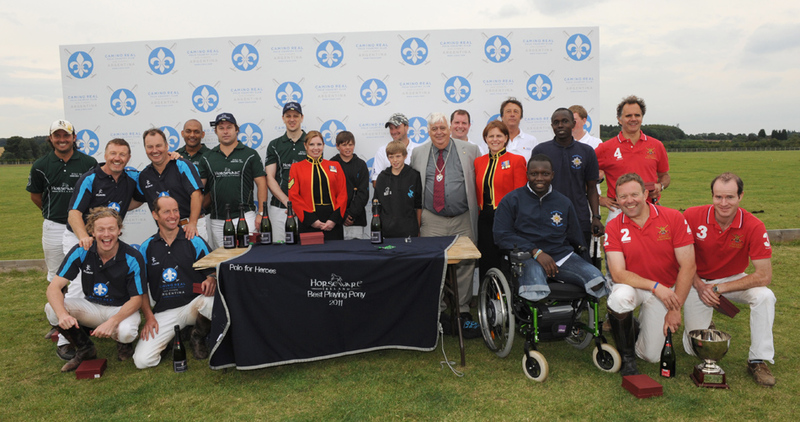 Organisers of the second annual Polo for Heroes say they have beaten last year’s figure raised for Help for Heroes following another successful all-day event at St Albans, Herts on Saturday 23rd July 2011. Polo teams involving local and Forces teams, including one captained by ex-World Middleweight boxing champ Steve Collins, and food prepared by celebrity TV chef Tristan Welch were among the highlights of the charity fund raiser. The polo itself began in some style with the Irish Guards piper and mascot leading the way and the deputy mayor throwing in the ball to start the action. The event raised nearly £18,000, which will once again go to members of Britain’s Armed Forces wounded serving their country. Tristan was once again personally cooking for VIP guests, while other spectators enjoyed the special pop-up Gaucho Grill restaurant and bar. The event was sponsored by Camino Real Polo Country Club in Argentina.